Once again, it’s Satu Makela-Nummela on top of the podium! 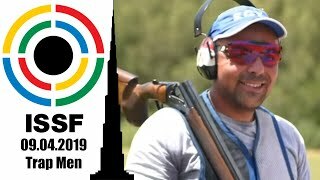 The Finnish experienced shooter ruled the women’s Trap final in Siggiewi (MLT), doubling the gold medal she won last April in Changwon (KOR). Germany’s Katrin Quooss and Russian Federation’s Ekaterina Rabaya completed the podium in 2nd and 3rd place, respectively. 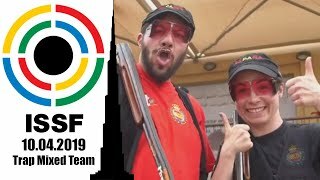 The 2008 Olympic Champion beat Fatima Galvez and Alessandra Perilli to take the brightest medal in a cold, windy and rainy day in Changwon, in the first official shotgun competition held at the new shooting range that will be used for the 2018 ISSF World Championship to be hosted here in September. 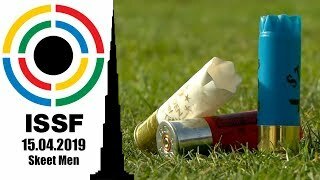 The sixth world cup stage of the season started-off with the women’s Trap final, today. The 2008 Olympic Champion Makela-Nummela beat Lebanon’s Ray Bassil in the Gold medal match. 2015’s junior world champion Iezzi joined them on the podium. 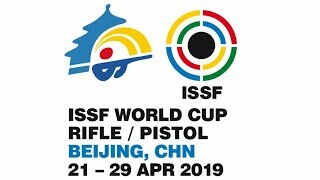 The Finnish shooter won a qualification shoot-off to access the semi-final, and then shot her way to the highest step of the podium with two consistent rounds, beating Russia's 30-year old Tatiana Barsuk. Both Makela-Nummela and Barsuk were awarded a Rio 2016 Olympic Quota Place. 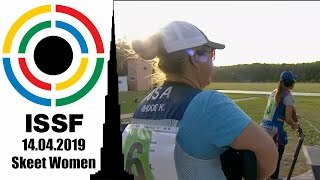 The Finnish trap shooter won the Trap women Gold medal match, beating the home shooter Zhu to step again on top of Beijing podium six years after her victory at the 2008 Olympic Games.